For “Utopia“, the lead single of his upcoming sophomore album, X Factor 2008 runner-up Tom Dice has rejoined forces with Jeroen Swinnen and Ashley Hicklin. You may remember how the three of them wrote the lovely “Me And My Guitar” which went on to become the most successful Flemish entry in Eurovision history. I had the pleasure of accompanying Tom a couple of times when he was promoting “Il Nous Faut“, his gorgeous duet with French singer Elisa Tovati. He’s genuinely a nice guy who loves what he’s doing and doesn’t mind working hard to get there, even when he was ill on some of those aforementioned promo dates! With Tom being the biggest success story of his label and keeping in mind how much I liked his first album, I have high hopes for whatever he comes up with next! 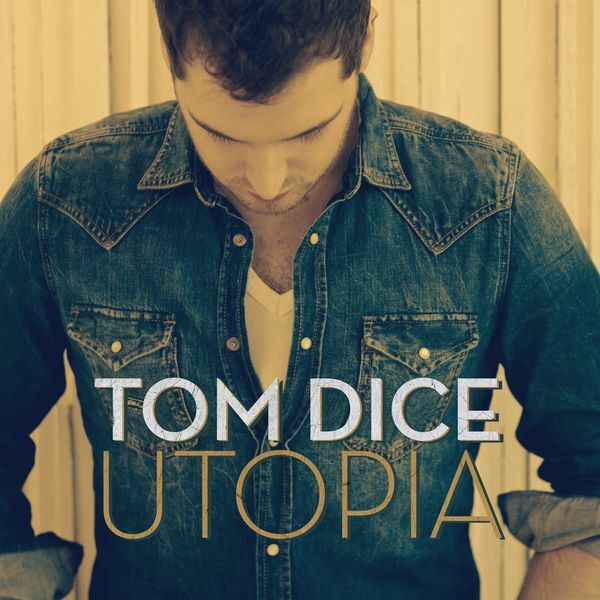 “Utopia” by Tom Dice is available on iTunes. 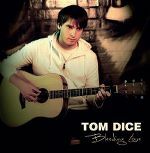 I am absolutely loving the Tom Dice album. Before I give you guys a proper review of ‘Teardrops‘ I wanted to put together a full artist profile of the young singer who will be representing Belgium at the 2010 Eurovision Song Contest with ‘Me And My Guitar‘. Back in 2008 Tom auditioned for the second season of Flemish X Factor. He got through to the live shows where he immediately impressed with an acoustic rendition of Leona Lewis’ ‘Bleeding Love’. From then on he was the one to beat and sailed through to the final. However, in the final school teacher Dirk De Smet was the one who ended up taking the record deal home. Not that it was anything to be jealous of, Dirk only got offered a two single deal. His winner’s song ‘Walk And Don’t Look Back‘ only got to number 4 and sophomore release ‘So Little‘ didn’t even bother the Bubbling Under chart. Since Sony was barely interested in the show’s actual winner, it seemed like there was no hope for runner-up Tom. Luckily, his X Factor coach Maurice Engelen, the man behind Lords Of Acid, stepped in, started up a new label and signed Tom as one of his first artists. The other act being Mathieu & Guillaume, two brothers who had also been X Factor finalists. In the summer of 2009 Tom released his debut single. The aforementioned cover of ‘Bleeding Love’ would have also been his winner’s song had he won the show, so it was decided to release it after all. While Tom’s version isn’t bad, I think it’s a shame they didn’t stick with the stripped down backing music that made his X Factor performance stand out. With a little help from a couple of instore signings ‘Bleeding Love’ managed to scrape into the top 10 for a week at number 7. We’ll get to the success of ‘Me And My Guitar‘ and Tom’s debut album ‘Teardrops‘ next time, but before I end this post there’s one more thing I’d like to tell you about. Network vtm doesn’t seem to realise that having guest performers benefits both the show and the Flemish music industry, so it was a bit of a surprise when one week they announced that Craig David would be appearing on the show. That week’s show even got a Craig David Week theme. Yes, seriously. Rather unexpectedly Tom gave his best performance that week. He managed to turn ‘7 Days‘ into a brilliant pop/rock tune that I still revisit every now and again. Also: judge Do‘s thumbs up face in that clip.